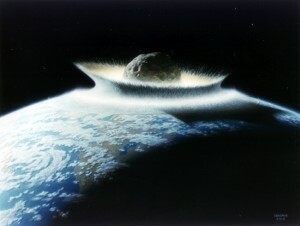 Artist's concept of a catastrophic asteroid impact with the early Earth. 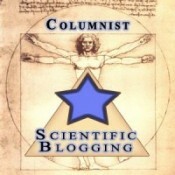 An impact with a 500-km-diameter asteroid would effectively sterilize the planet. The Earth may have experienced such gigantic impacts in its youth, but fortunately today there are apparently no projectiles this large to threaten our planet. Courtesy Don Davis, NASA. This childhood behavioral bias infiltrated adulthood in the relationship between professional astronomers, policy-makers and national budget-number crunchers. When a scientist expresses probabilistic concerns about the impending doom of our planet from a cataclysmic change of a major impact event, say, in the next 100, 1,000, or 10,000 years, it requires just too much risk of political capital and tax-payer dollars to divert significant budget resources to something that might only be a concern for our uber-great grandchildren. The simultaneous efforts of two Hollywood studios in the late nineties of the last century tried to get something stirring in our cultural awareness with their mega-disaster flicks, Armageddon and Deep Impact. These features did bring us through the box office (which was certainly their primary goal! ), but they did not push us en masse to the round table to prepare for the ultimate defensive plan for our planet. 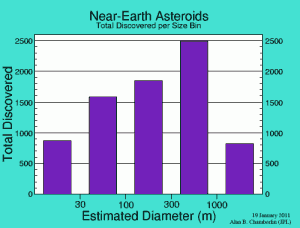 Combating Earth-bound asteroids, or “near-earth objects” (NEOs), is an unsolved problem, and one that citizen scientists largely ignore because it’s assumed that this issue must be only approached via the domain that has access to the massive amounts of taxpayer dollars and the international collaborations between those nations who can liberally spend all of that money. It’s this requirement of essentially unlimited funds that is the sticking point to making serious progress on defending against an event that may, or may not, happen in the upcoming budget cycle. The method of defense presented in Armageddon is physically bogus, and reportedly is used as a game for managers-in-training at NASA to test how many impossible things can be identified in the film. Burley, blue-collar heroes racing a doomsday clock and risking their lives on a speeding asteroid to implant nuclear weapons deep inside an iron core, all the while engaging in a romance with Liv Tyler, certainly makes for exciting film. But, if this scenario was ever pending in reality, this method just can’t get the job done. Bruce Willis is required to destroy an asteroid the size of Texas, which is an extreme and unlikely case as far as NEOs go these days. If we do a little simplification (as any good physics estimation will do), Texas has a land area of 678,051 square kilometers (or, about 262,000 square miles), and assuming this area forms a neat square it would have a length of about 823 kilometers (or, 512 miles, which is a fine approximation even though Texas’ widest part is a bit over 700 miles). We might also say that Mr. Willis’s asteroid is a nice sphere with this same diameter, so its radius would be one-half this distance, or about 412 kilometers. Now, to blow this very large chunk of rock to smithereens one might expect it would take quite a punch. It would also be important to make sure that not only is enough energy released so that the rock brakes apart, but that it is destroyed to such an extent that smaller fragments aren’t left around that might still be a threat to Earth. The value for the mass requires another gross estimation and simplification, even though this value will have a significant influence on the energy required to blow up the asteroid (the energy increases with the square of the mass in the formular above, which can get pretty big pretty fast). Directly verifying composition, density, and actual volumes of asteroids is a critical issue, and is currently a focus of NASA research. In particular, later this year the very large asteroid, or protoplanet, 4 Vesta will be visited by the Dawn mission in July 2011, during which time observations will be taken to learn more about what makes up these tiny almost-planets. 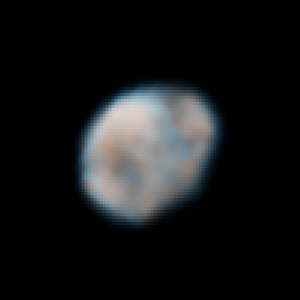 A color image of 4 Vesta taken by the Hubble Space Telescope. Courtesy NASA. For comparison, 4 Vesta is the largest asteroid body known, right after the much larger protoplanet Ceres, which will also be visited by Dawn in 2015. Coming in at an average diameter of 530 km, 4 Vesta is a pebble in the sky similar to what Mr. Willis is up against. So, for our composition estimation, we’ll use what we already know about 4 Vesta as a reasonable basis for our Armageddon killer. which, after some unit conversions, quite nicely agrees with the published value of bulk density for 4 Vesta of 3.4 g/cm3. or, 4/3 π (412 km)3 × (3.4 × 1012 kg/km3) = 9.9 × 1020 kg. U = 3 (6.67 × 10-11) (9.9 × 1020 kg )2 / 5 (412 × 103 m) = 9.6 × 1025 N m (or Joules). This seems like a whole lot of Joules (energy), but what is it in comparison to what the human civilization has produced to date? By definition, 1 ton of TNT releases 4.184 giga Joules (109 Joules) of energy, so to reach the gravitational binding energy of Armageddon, we would need to plant a bomb with the power of 2.3 × 1016 tons of TNT. Compare this to the devastating “Little Boy” dropped onto Hiroshima in 1945, which released 15 × 103 tons (kilotons) of TNT, and the largest ever tested nuclear weapon of 57 × 106 tons (megatons) of TNT by the USSR in 1961. So, a 10-fold order of magnitude increase in energy would be required to save the planet from Armageddon. That’s taking our most extreme explosive technology from megatons to petatons of TNT. This being the case, we might then consider that in the event of a Texas-sized asteroid on a collision course with Earth, we should just hop on the fastest spaceship to Mars and take our chances on the Red Planet. To be sure, though, asteroids this large just aren’t out there anymore, other than 4 Vesta, which is happily orbiting about the Sun without any intersections with Earth–ever. You can have some more fun with trying to destroy asteroids–without all of the calculations above–by trying out the tool developed by Michael Wong called the Asteroid Destruction Calculator. Here, the gravitational binding energy is generated, using reasonable assumptions of possible composition, but it also estimates more reasonable energy requirements that would break up an asteroid not to the ultimate safety of infinitely away from Earth, but into small enough particles that would just as safely burn up in our atmosphere upon entry. This “vaporization energy” is determined only as an estimation by extension of actual experiments on Earth of blowing up smaller rocks that might behave similarly to asteroids. The feature film Deep Impact seemed to be a little more accurate in its scientific basis, but this might largely be due to the fact that the deflection methods didn’t work, and a chunk slams into the Atlantic Ocean killing millions in the ensuing megatsunami. Of course, movie theatrics aside, the humanity-depleting effects of mega-rocks slamming into the planet cannot be denied. Objects are constantly being sucked into Earth’s gravitational pull everyday, and thanks to our atmosphere and–friction–nearly everything gets so hot that it burns into oblivion long before any living creature can take notice. Although the movies might make planetary defense seem unreasonable, we must make very clear again that that NEOs the size of Texas on a collision course for Earth are just not present in our Solar System anymore. In the billions of years of our planetary existence, these relics have been devoured by the planets, in particular Jupiter, and their immediate individual impact effects on their collision buddies have settled long ago. In addition, these sorts of enormous objects 1/10 the size of the Moon, if they did exist, would appear rather bright in the night sky, even when still at a safe distance. So, a focused amateur astronomer or one of the several NEO scanning programs in operation today would presumably detect it before it was way too late. That said, we’ll let out some more good news now: for the majority of asteroids and comets zipping around our solar system today, deflection is theoretically and technically possible. The problem is that implementation isn’t free. and it sure would be nice to do a test run or two before being called in for real action. And, tests aren’t free, either. Recently, the New Yorker published a narrative about the current struggles NASA is experiencing with fulfilling this civilization-saving task. It features the plight of an astronaut-turned-NEO evangelizer, Russell Schweickart, who now heads the B612 Foundation, which is driven by the goal to “significantly alter the orbit of an asteroid in a controlled manner by 2015.” NASA has money to search-and-destroy NEOs, but the alloted budget just might cover snacks and bagels pre-purchased at the grocery store for departmental meetings. So, the NEO program at NASA certainly could use some loud support. The article overviews one of these meetings held in 2010 to develop a direction for moving NASA forward in the crapshoot that was once only considered to be a popular Atari game (play now! Can you now calculate the energy from each laser shot?). This meeting, called the The NASA Advisory Council Ad-Hoc Task Force on Planetary Defense, was held in two sessions during 2010, and was co-chaired by Mr. Schweickart. The council’s purpose was to review NASA’s current and future role in the issue of near-earth asteroids, and to create a formal recommendation on what NASA should and should not continue to be doing. There are many issues that NASA must juggle with here, including political, financial, and scientific. Who is willing to risk one’s political capital to champion the destruction of once-in-an-epoch giant fireballs in the sky, albeit one that can destroy our civilization as we know it? How much of taxpayer dollars can be appropriated to a once-in-an-epoch event, albeit one that can destroy our civilization as we know it? And, with deflection technology really already at hand, how professionally interesting is it to track and monitor orbiting rocks, since a Nobel Prize doesn’t target too many rocks these days? The bottom line is that the political will and the money are not available from the United States federal government, so the financing of advancing technology–well in advance of pending doom–is not really an option right now, and will likely continue to not be an option for some time. Methods of averting potentially impacting objects have already been proposed, and should be reasonable to implement without too much of a technological leap, if any, although the funding factor will always be an application killer. In fact, according the the task force’s minutes, NASA should stay out of the direct defensive activities, and leave that to those who know how to defend, like the Air Force. Of course, the United States is already over-criticized for being the police force of the world, so why should it now have to be the defender of the planet and of all civilization? Research on methods of saving Planet Earth from an asteroid on a collision course has been in consideration for quite some time. It seems, however, that only within the past decade have more serious efforts toward planning for a global response been accomplished. Assuming we would have enough warning of a future collision generated from extensive tracking and precise, long-term orbit predictions, the focus has been on deflection of asteroids as opposed to all-out destruction. (As suggested above, even if you could blow up an asteroid to some extent, you will likely only fragment it into an unlimited number of additional asteroids, all still right on target.) By 2004, it seemed that a surge of recommendations and proposals came out of the woodwork, probably due in large part to the invigorated efforts of Mr. Schweickart. The threat is certainly real, but the realities of actually doing anything about it might be even more insurmountable. Basically, deflection can be accomplished by either exploding a bomb near an asteroid and using the radiating energy to nudge its trajectory, or by landing a propulsion system onto the surface of the speeding rock and directly steer it out of the collision path. Of primary concern with the former method is the significant unknown of how a particular asteroid will absorb the energy from a nearby explosion. Many asteroids are considered to be porous, or can be composed of water-ice, or metals, or other minerals. Creating a predictable and controlled course correction from a precisely positioned detonation could be quickly rendered useless if the composition of the killer rock was incorrectly assumed. For a discussion on this approach, including detailed calculations and a prediction of what sort of asteroids would be favorable candidates for standoff explosions, read Donald B. Gennery’s Deflecting Asteroids by Means of Standoff Nuclear Explosions [PDF] presented at the 2004 Planetary Defense Conference. Deflection by direct contact might seem a more controllable approach, and we are already developing the skills required to make such a trip to a potentially colliding asteroid or comet through recent NASA missions (in particular, Deep Impact–not the movie) and others, as well as future NASA projects in progress. This general method as a solution is supported by Mr. Schweickart and the B612 Foundation, and a detailed review was published in 2006 by Izzo, et al. in Acta Astronautica from the International Academy of Astronautics. Izzo, D., Bourdouxa, A., Walker, R., and Ongarob, F., Acta Astronautica 59 (2006) 294 – 300. Their calculations are applied to the asteroid “99942 Apophis,” which was discovered late in 2004 with initial trajectory measurements predicting a small chance of impact in 2029. Although the impact probabilities have since been reduced, there is still the possibility of Earth’s gravitational pull nudging Apophis’s orbit just right (called a gravitational keyhole) to move it into a future collision trajectory for 2036. In 2013, Apophis will visit near Earth again, and will provide the next opportunity to more accurately calculate its orbit out to 2070 as well as its physical properties. Apophis’s future trajectories and orbit diagram may be interactively explored at JPL’s Small-Body Database. This paper outlines very specific simulated scenarios on dealing with Apophis and what sort of issues must be considered for tracking, predicting orbits, and deflecting such an object. Of course, although all of this technological study of deflection is quite critical for the long-term survival of our civilization, it just might be out of the realm of the citizen scientist. But, if one is still interested in learning more about the current state of asteroid deflection techniques, the above referenced articles are must-reads to get started. On the other hand, since there may be no nobler a cause than saving civilization, it would be grand if the citizen scientist could actually play a crucial role. Since one might not be able to be involved in the actual direct deflection of an asteroid (I haven’t yet met a citizen scientists who is ready to land on an asteroid and plant a nuclear device or two, or a billion), but in a more practical effort through backyard observations. The discovery of new near-earth objects is obviously important since we have not yet found any guaranteed direct-hitting NEO. But, if it is out there, then it certainly needs to be found much sooner than latter. In addition, the continued monitoring of known objects is equally vital, if not more so, because not only can NEO trajectories change as they interact with the gravitational fields of other bodies, but many known objects are calculated with limited data, which increases the error in future predictions of possible close encounters. Additional observations and measurements need to be compiled each time a particular NEO passes close to Earth so that its current orbit may be more precisely determined thereby providing a more accurate prediction of future orbit trajectories. From a large-scale national budgetary perspective, a higher resolution in NEO orbit calculations is critical for NASA and other world-wide governmental bodies who are willing to participate in protecting the planet. If actual planet-defending programs are launched, it would be rather expensive if we move forward with low-confidence NEO orbit predictions such that we feel the need to blow up every NEO in the neighborhood. By providing as much observational data as possible, orbit predictions can become quite thorough, and governments–and their populations–will have the confidence to take action only on the very rare NEO of a significant size that is almost certainly inching its way toward Earth’s mesosphere. NASA’s Near Earth Asteroid Count by Size as of December 2010. The hunting and tracking of NEOs are certainly already in progress by NASA. Their mandated goal is to identify 90% of all NEOs with diameters larger than 1 km by 2020. Of course, it’s difficult to accurately determine what number to take 90% of to know if the goal has ever been reached. But, the current statistics on known NEOs is updated by NASA on their Discovery Statistics page. As of April 11, 2011, the total count of all near-earth objects of all sizes has reached 7,890 and kilometer-sized “large” NEOs at 824. Major observatories from around the world are participating in the ongoing hunt for NEOs and partner with NASA on their observations. One of the early programs was developed at the University of Arizona’s Lunar and Planetary Laboratory called The Spacewatch Project. Just over twenty years ago they discovered the first NEO with automated observing technology, and they have booked many other important “firsts” in this growing field. Several years ago, but now closed to the public since 2006, Spacewatch hosted a citizen science program where registered volunteers could visually review digital images of the night sky to try to identify fast moving objects appearing in consecutive CCD views. With 43 discoveries of new objects in two years from 52 volunteer reviewers, this program was a great example of connecting scientists with interested participates to collaboratively accomplish something very important to the rest of humanity. However, all of these efforts still need to expand. NASA is effectively using breadcrumbs to fund the programs, and although they are partnering with willing observatories, the massive amount of observational time required to guarantee we will catch Earth-bound objects well in advance is enormous. The biggest hurdle that we face is actually unsurmountable without the help of a network of space-based telescopes existing in their own heliocentric orbits: Observers from the Earth looking into our night sky can only see so much of the Universe. There is a limited swath of space that can be observed at any one time, and NEOs that happen to be passing through that swath at that moment can be observed and analyzed. The majority of objects zipping through our solar system, however, are effectively invisible to us at any one moment, and any NEOs trailing the Earth’s orbit can’t be seen by us until they happen to zip into our field of view; and this could presumably take decades. And when it does happen, it might be too late. There are proposals to launch satellites that will trail the Earth’s orbit and be able to pick out a wider observational window to find and track potential NEOs. 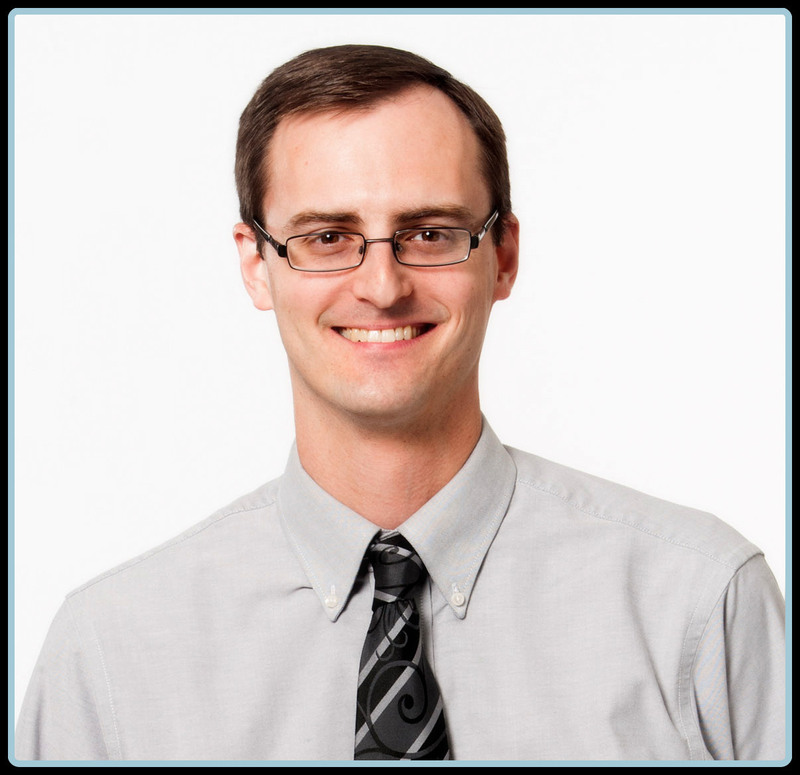 Until this proposal actually gets off the ground–literally–more is needed to continuously observe the entire field of view that we do have to maximize the surveying efforts that is possible now. The typical citizen scientist wanting to add celestial viewing to their science experience shouldn’t be expected to develop a multi-million dollar deep-space observatory in their own backyard. The real issue, however, is that major observatories are overbooked and highly in demand, so professionals are not always offered the luxury of scanning the skies for transient objects. The amateur, on the other hand, is at his or her own command and may leisurely watch the heavens. The important disadvantage for the amateur and their comparatively low-powered instrumentation is that any observed object of significant size should have already been picked up by an existing automated system. In addition, any NEO that is discovered by a backyard amateur that has never been cataloged before might not provide an early enough detection time-frame for deflection if it actually is on an immediate Earth-crossing path. However, there is so much out there–or, at least potentially out there–that there can never be too much time devoted to detection and monitoring of NEOs. And, what is better than volunteer efforts from citizen scientists around the world that generates data at no additional cost to NASA? So, with this in mind, citizen scientists can consider contributing their backyard observing time to the important effort of scanning for NEOs. It should not be considered a low-threshold, entry-level project since a minimum level of equipment, skill, and dedicated time will be required. The IAU Minor Planet Center (MPC), operating out of the Smithsonian Astrophysical Observatory at Harvard, is supported by NASA and carries the responsibly of maintaining a database of confirmed minor planets, comets, and near-earth objects. They have an extensive NEO division, which includes the latest updates of NEO observations, requested confirmations, and many online tools to support the surveying of NEOs. In particular, the MPC has developed a detailed guide on setting up your own observation system for minor bodies and potential NEOs. Following this guide, Dynamic Patterns Research is currently considering how to design and build a low-cost NEO backyard observatory for citizen scientists who are interested in participating in NEO hunting. One requirement for those interested in participating is the official establishment of your viewing position as a registered observatory. This can be completed by anyone, but a “permanent” site is needed; in other words, your personal authorized observatory shouldn’t move around with your portable telescope, since reported observations will be more valuable for MPC if they originate from the same viewing coordinates. Also, several observing tests are required to be submitted and approved before being registered as an observatory. If you are interested in beginning your own backyard astrometry program now, then begin by reviewing the extensive guide from MPC. Then, contact us at Dynamic Patterns Research so that we may collaborate with you in our development efforts for designing a system geared just for citizen scientists. As an exciting goal for setting up your own NEO observatory, later this year on November 8-9, we will be able to experience a very close approach of a rather large asteroid, 2005 YU55. About 1,300 feet in diameter, it will pass within 0.85 lunar distances (just a bit inside the orbit of the Moon). Although 2005 YU55 is predicted to not have any significant threat of hitting Earth within the next 100 years, this year’s flyby will be its closest approach until 2028, when it will pass by nearly half-way to the Moon. 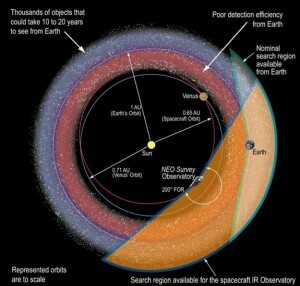 The advantage of additional observations during these close encounters, as suggested above, is that more accurate orbit calculations may be determined from measuring its updated trajectory, which can always be influenced by gravitational interactions during close encounters with any other massive body in the Solar System. And, this is where the NEO-tracking citizen science can collaborate by submitting additional data that NASA can’t get enough of to be ever more precise in their predictions of future NEO orbits. So, come early November 2011, citizen scientists with their newly-established, personal NEO backyard observatory will be ready to experience the most exciting beta-testing event of a lifetime.